St.Peter’s is an ancient church where you can find peace and admire beauty. The Church has been a place of worship for over 1100 years .The principles on which the people here work are to love God deeply, to learn more about Him by spreading the message of love, forgiveness and to make the most of our lives by serving the society. The building set in the midst of an open field has a chancel dating back to the 15th century and a gallery which was built in 1756. With such a great history and the noble thoughts on which the people have been working here makes the Church a holy place to visit. You will get all the positivity from the surroundings and this makes it for a must visit. 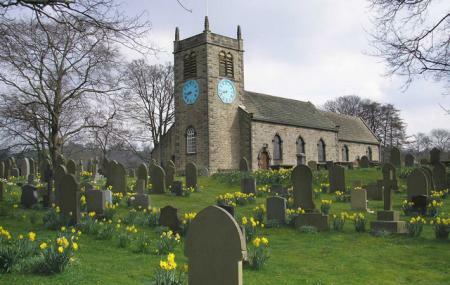 Try the best Addingham trip planner to visit this St Peter's Addingham as well as many others. You won't miss your home when in Addingham, hotels in Addingham like Mercure Bradford, Bankfield Hotel, Hillcroft Barn and The Unicorn Skipton offer some of the best places to stay in the city. Curated Addingham vacation packages await! Book the best ones and start turning your dream into reality.Discover various ways for how to reach Addingham and complete the booking by choosing your mode of transport. Love this? Explore the entire list of places to visit in Addingham before you plan your trip. Fancy a good night's sleep after a tiring day? Check out where to stay in Addingham and book an accommodation of your choice. How popular is St Peter's Addingham? People normally club together Ilkley and Salem United Reformed Church while planning their visit to St Peter's Addingham. Well worth a visit, selling lovely homemade cakes with a friendly smile.